Juicy Facts About Jennifer Lopez! ~ CK Jacob: Nigerian Fiction And Lifestyle Blog. 1. Jenny from the block does not drink alcohol. 2. Her ex-husband Cris Judd and ex-fiancée Ben Affleck share the same birthday. Ben is three years younger. 3. Jennifer is the only woman to twice be voted FHM's Sexiest Woman in the World. 4. Lopez sang happy birthday to repressive Turkmenistan President Gurbanguly Berdymukhamedov on July 1, 2-13 and it turns controversial. Her spokesman states that if Lopez knew that there were any "human rights issues of any kind" she would not have performed. 5. Jennifer worked with Janet Jackson on the video "That's The Way Love Goes" and on Janet's tours. 6. While working on her debut album On the 6, she met and began dating Sean Combs. 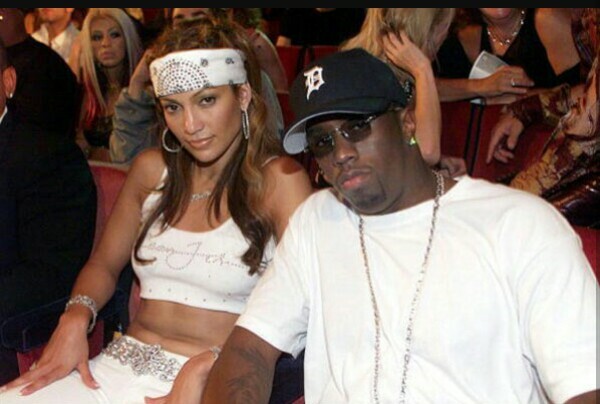 In 1999, Jennifer Lopez and musician Sean Combs were arrested as a result of a nightclub shooting when police found them with a stolen gun. The charges against Lopez were dropped, but the charges against Combs stayed. 7. She met Husband number 1, Cris Judd, while filming the video for "Love Don't Cost A Thing": He was a dancer. She was linked to him even while still dating P. Diddy Combs. They were divorced after 9 months of marriage. 8. Jennifer is also the first actress to have a movie ("The Wedding Planner") and an album hit number one in the same week. Lopez's second album, JLo, was released on January 23, 2001 and it was an instant hit. 9. She launched her clothing line called JLO by Jennifer Lopez in 2001. Earned $15 million for her role in 2005's Monster-in-Law, making her the highest paid Latina actress in Hollywood at the time. 10. Growing up, Jennifer has always been a very fit lady. Her nickname at the gyms was "La Guitarra" because her body curved like a guitar. 11. She launched "Q'Viva! The Chosen" in 2012, a talent show created by Simon Fuller, that followed Lopez, Marc Anthony and director-choreographer Jamie King as they traveled across 21 Latin American countries to find talent for a Las Vegas show. Marc Anthony and JLO were only getting along on the TV show, as they filed for divorce after seven years of marriage in April 2012. 12. Jennifer has been a judge on American Idol for three season, 10, 11 and 13. 13. Since October 2011, Lopez was in a relationship with her former back-up dancer Casper Smart. She said, "I am a non-traditional family. Me being a single mom, their dad doesn't live at home with them. They have three stepbrothers from two other mothers...that's not traditional"
14. Jennifer turned down the role of Sara in Hitch which co-starred Will Smith. 15. Lopez earned the No. 1 position in In Touch Magazine countdown of top 10 "Best Bottoms In Hollywood" in August 2007. 16. Lopez filed a lawsuit against ex-husband Ojani Noa in 2009 alleging that he is trying to publicize home videos of her. 17. She and husband Marc Anthony announced they would end their 7-year marriage on July 15. 18. Jennifer was considered for the role of Gloria the Hippo in Madagascar but it went to Jada Pinkett Smith. 19. Lopez and her twins were featured on the cover of the March 11, 2008 issue of People magazine when they were four weeks old. Lopez was paid $6 million for the photos. 20. Presently, she is rumored to be dating Drake. Do she takes alcohol before? What is nice about alcohol?